BT and KTH presented two papers focused on the WP4 Universal Cost Model at the 25th International Symposium on Dynamics of Vehicles on Roads and Tracks at the Central Queensland University in Rockhampton, Australia. - Wheel damage prediction for universal cost model applications (available HERE). The Roll2Rail Final Conference took place on the 17th of October at the Sofitel Bayerpost Hotel in Munich with the participation of almost 90 experts from all around Europe. The event was the occasion for Work Package Leaders to present the main results of the project and their important links to Shift2Rail. Andrea Demadonna (UNIFE), Roll2Rail Project Coordinator, opened the event by welcoming all attendees and highlighting the role of Roll2Rail as bridge between the outcomes of past FP7 projects and the work done in Roll2Rail that will be transferred into other Shift2Rail projects. Philippe Citroën, UNIFE Director General, stressed the role of Roll2Rail in the successful start of Shift2Rail, and praised the smooth knowledge transfer process between the project and Shift2Rail. Building on the success of Shift2Rail, Shift2Rail 2.0 should take into account the ongoing mega-trends, especially in terms of urbanization, growing interest for environmental issues and an ageing population. Shift2Rail 2.0, Mr. Citroën continued, should redefine the place and ambition of rail transportation in the future mobility landscape. Mr. William Bird (EC), Roll2Rail Project Officer, stated that Roll2Rail provides a bridge between historic research and Shift2Rail, providing continuity to existing work. 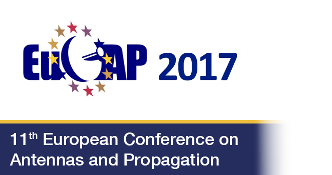 Moreover, the project contributes to homologation and standardization, helping to also prepare the research actors for Shift2Rail. Mr. Bird pushed to keep the momentum going and raised the importance of continuing Rolling Stock research through Shift2Rail and beyond, ensuring that research products reach the market. Javier Goikoetxea (CAF), Roll2Rail Technical Leader, focused his presentation on the importance of each Roll2Rail brick for contributing to the next generation Rolling Stock in Europe. Mr. Carlo Borghini, Shift2Rail Executive Director, concluded the morning part of the event with some final remarks on this milestone event as the first closing conference of a lighthouse project and as bringing added value to the work of Shift2Rail. The Roll2Rail project results, he said, will contribute to the increase of the operational reliability and to the reduction of the life cycle costs. 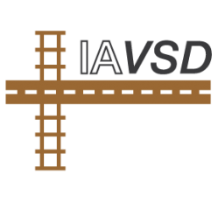 At the end of the project all the results will be further developed, leading to demonstration in real vehicles or relevant environments in Shift2Rail. The afternoon part of the conference offered participants the opportunity to attend one of the three planned technical visits at DB Systemtechnik (ICE Maintenance centre) and Knorr-Bremse (Advanced Test Laboratory for Adhesion based Systems – ATLAS and Universal Train Test Rig – UZP). Stakeholders fromthe EU rail community are welcome to register for the Roll2Rail FinalConference which will take place on the 17th of October in Munich.The event will combine presentations on the main results of the project as wellas interactive sessions with the audience and technical visits in theafternoon. Click HERE to download the draftagenda and the information on the different technical visits offered to theparticipants. Due to limited places inthe technical visits, participants may be asked to join another one ifplaces are no longer available. Participation is free of charge and participants are requested toregister HERE before15th September 2017. Due tolimited capacity, please be aware that your registration request does notrepresent a confirmed registration because the attendance will bebalanced between project partners and external stakeholders. You will receive aresponse in your inbox by 19 September. CAF and UNIFE presented the activities of ROLL2Rail WP2 during the ICT on TRAINS 2015 event in Birmingham. Roll2Rail1, a large collaborative railway research project has begun its investigation into addressing future noisechallenges outlined in the Shift2Rail2 Master Plan. 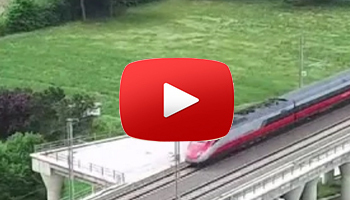 The work will focus on developing rolling noise separationtechniques that will help explain, describe and control the different physical mechanisms that contribute to rollingnoise during the pass-by of a train. The findings will help progress towards a quieter railway and will contributeto future vehicle and track designs that minimise noise emissions. Adam Mirza, the Noise Work Package Leaderwithin Roll2Rail, and Eulalia Peris, the Project Coordinator, explain further. 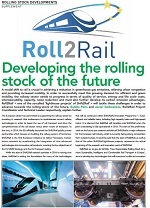 Roll2Rail partners have published an article on the scopes and the objectives of the project in the European Railway Review. To read the article click here.